Creating your own personal style at home can be a bit of a challenge. Maybe you have hundreds of different ideas, but no way to streamline them into one style. It can be hard to show your personality and of course at the same time, keeping within your budget. Upcycling is a rising theme for home decor and interiors. It is a really good way to add character to your home whilst making good use of recycled materials and doing something a bit different. Not to mention saving money on without needing to buy new and expensive items which may not be as good quality. We discovered ezebee.com which is an online marketplace for entrepreneurs and individuals who create their own shop on the site and sell their products online. Many of the showrooms on ezebee.com sell handmade and self created items and therefore a big variety of upcycled products too! The international marketplace is available in 9 different languages and all over the world! It is completely free to sign up and they do not take any commissions from sellers or buyers, leaving the money where it should be. 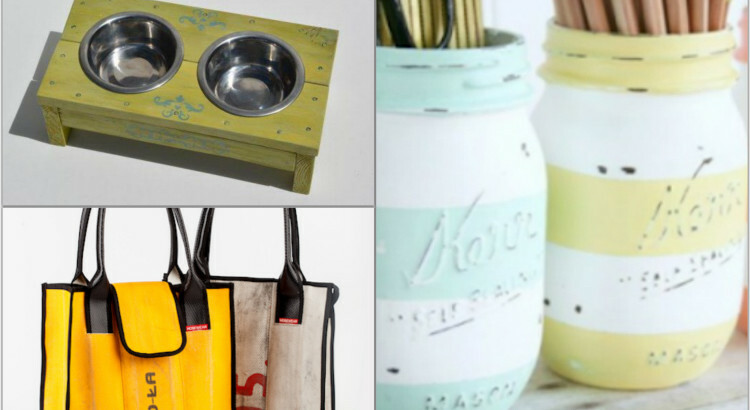 So let’s look at 5 of our personal choices of upcycled items from Ezebee. 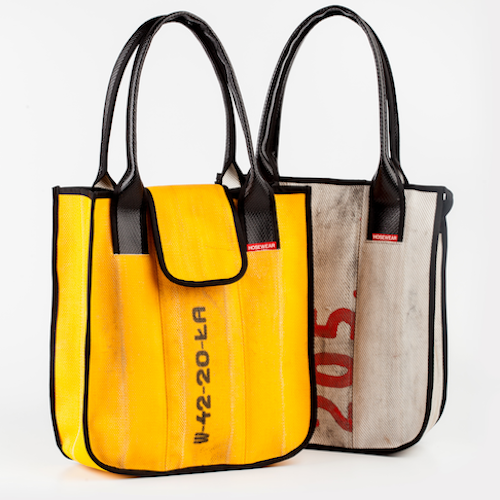 This bag is waterproof, fireproof and will definitely stand out from your standard tote bag. By HoseWear, Estonia! 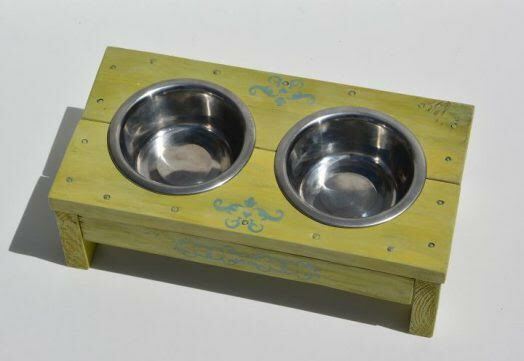 These ‘spill-proof’ food bowls are made from old pallets and full of originality. Made by Jealousy in Portugal! 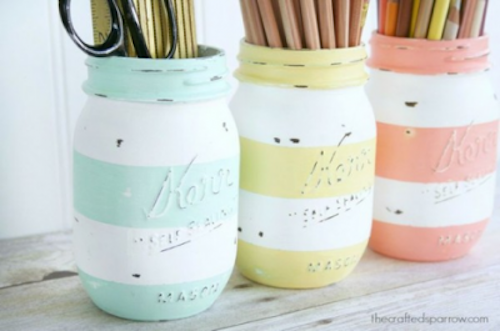 Some paint and a clean up makes these old glass jam jars into a great desk essential. From ‘Art by Infinity’s Edge’ In India! 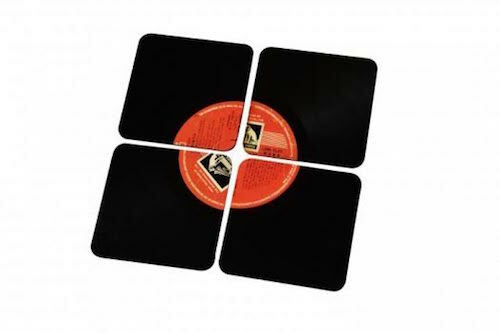 We love these and who can’t get enough of vinyl? From ‘The Upcycling project’ in India! 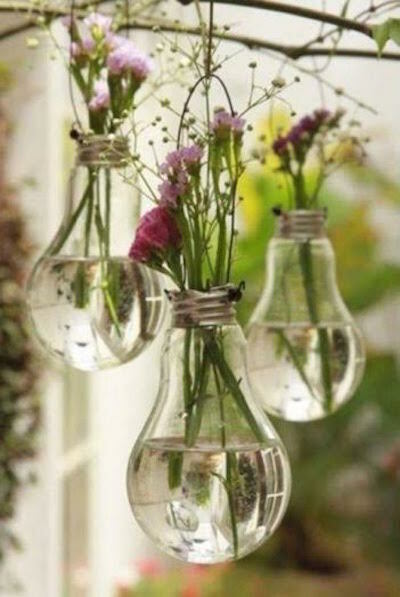 These are really cute and a different way to show off your flowers!By ‘ExclusiveDesignArt’ in Ukraine! Do you also love upcycling and create new products? We would love to see them or hear any tips you have for making the most of your old junk. Find more products from the Ezebee marketplace from all over the world. If you want to start selling your own products with ezebee.com, or discover more items, click here to get started.